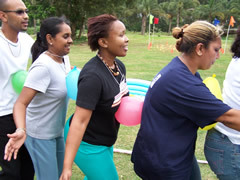 Our Teambuilding Services Are Here For You! 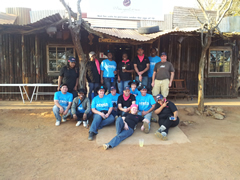 SA Teambuilding is South Africa's leading teambuilding company, providing our teambuilding service to over 2000 clients over the last 15 years we are the best at what we do. Our teambuilding events are designed to transform and motivate your team member and we strive to create a unity within your team that will carry over into the work place. As a teambuilding company we want to get the best out of your employee and provide the platform for this to happen. 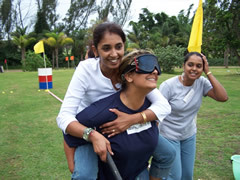 all out teambuilding events are interactive and promote teamwork and communication and most of all to have fun while taking part. all our event's are non strenuous and all fitness levels are able to take part. 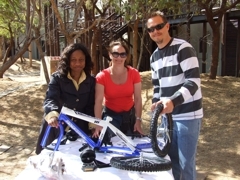 SA Teambuilding also provides teambuilding across South Africa and even abroad, so whether you are looking for a teambuilding in Johannesburg or a teambuilding in Pretoria or even abroad we can assist. Our Teambuilding events are based on Fun Team interaction, we believe that to grow Teams you can do it by having Fun and interacting with one another outside the office, laughter and fun brings a energy to the Team which can be carried forward to the office and Team can grow better. is the great way to enhance team camaraderie through an experience of total Fun focused on a competitive (but not-too-serious) gauntlet of wild and wacky "Olympic Games". In this exciting, hilarious teambuilding program, we divide your group into small, feisty teams of corporate "athletes", who face off against other equally feisty teams who want to clean their clock, no matter what the game at hand. As each Olympic event is engaged, points are awarded for team performance. Teams vie back and forth all day for the top place finishes and the bragging rights that go along with it. Team Olympics is Play for Professionals at its best. Chaotic, exhilarating, and serving absolutely no point at all, except to remind us that its truly essential to lighten up and have Fun. 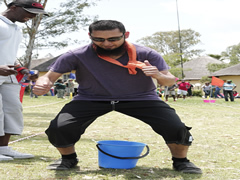 No one is immune from the fun in Team Survivor, Blue Hat’s exciting adventure-based team building program. Inspired by the popular TV show, Team Survivor is geared to challenge team members individually and as a tribe to reach for new heights of success. Team Survivor begins with the ritual of the tribal council, where each group creates a unique tribal identity to set their team apart. Using building materials including colorful water-based body paints and an assortment of props, each team must create a tribal name, flag and tribal chant representing the values and power symbols most important to them.